Our Approach | Skipton and Associates, Inc. Perform a thorough and comprehensive review of your insurance policy and it’s specific applications to your claim. We perform a comprehensive analysis of your policy and apply its’ coverages to your specific damages, so as to present your claim in a way that maximizes your recovery. all communications with the insurance company. 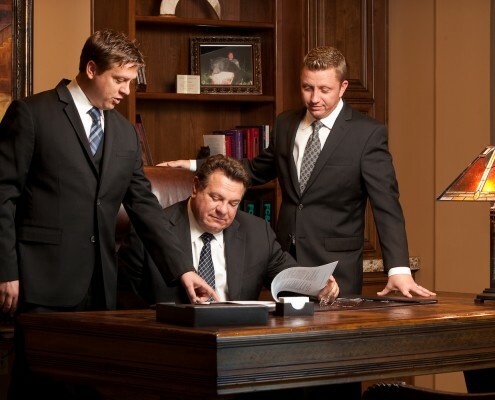 We thoroughly and accurately document everything that the Insurance Company does and does not do to resolve your claim. It has been our experience that a well-documented claim file is much more likely to be paid than one that is haphazardly kept. and document the true extent of property loss and damages. We have the knowledge and experience to properly investigate all potential damages, including all of the hidden damages that may not be obvious to the untrained eye. Insurance Companies are notorious for conducting haphazard damage investigations, often using their preferred contractors to determine your loss. A quick settlement that overlooks much of your compensable damages, only benefits the Insurance Company. We prepare a detailed computer generated estimate of the structure damages itemizing every component of loss. Retain competent, qualified insurance experts to prove your claim, as required. Determining the true extent of loss and damage often requires the use of experts, as a properly supported insurance claim is usually a claim that gets paid properly. We have an extensive team of staff and associate experts for all types of damage investigations including Engineers, Architects, Industrial Hygienists, Cause & Origin Investigators, Forensic Accountants, Policy Coverage Experts, etc. Our team of experts communicate with our clients through every step of the process. We are dedicated to providing you with superior customer service. We make ourselves readily accessible to address all of your questions and concerns throughout the insurance claim process. We provide our clients copies of all claim communications, our personal cellular telephone numbers and we make it a priority to promptly return all telephone calls or E-mails. Assist you and your family in finding suitable temporary housing and prepare your Additional Living Expense (ALE) claim for submission (residential). We have several resources to assist your family in finding suitable temporary housing so that your family can maintain its’ normal standard of living and we accurately calculate your ALE claim for submission. Prepare and substantiate your loss of business income claim (commercial). We perform an in-depth analysis of your business operation which takes into account all relevant factors that impact your financial performance, so as to accurately project how your business would have performed had it not been for the loss event. Our results prove that we attain substantially larger recoveries, than are usually determined by the Insurance Company, using strictly an analysis of your financial records. Prepare an accurate itemized inventory of damaged personal or business property. Our staff takes pain-staking care to create an accurate inventory of every item that was damaged and we fully document the loss with photographic and video media. We research the full cost to replace your property at today’s prices and we provide our resource materials to the Insurance Company to substantiate the value of your loss. Our methods are considerably more work, but we find that it minimizes negotiating and gets your claim paid much faster and usually at the full value presented.